The Dell Inspiron 14z is not a bad budget laptop, though it doesn’t gel with what we’ve come to expect from the Intel Ultrabook label. It’s not particularly light, its battery life and screen are only average, and its design tries for premium but falls short. However, as an affordable general-purpose work-horse it’s still a nice machine with decent usability, connectivity and performance, and light gamers on a strict budget may want to check out the version with dedicated graphics. It’s important to keep in perspective, though, that this is an $900, 14-inch ultrabook that includes an optical drive and still weighs barely four pounds. Aside from its weight, little about the 14z is especially earth-shattering, but a proper ultrabook really shouldn’t be shattering anything, should it? At this early stage, Intel's hardware partners are still trying to figure out how best to utilize the Ultrabook form factor and how far they can push the envelope. As such, we never know quite what to expect each time a new model lands on our doorstep. In this case, Dell surprised us with above average gaming performance and a slot-load optical drive, two traits we haven't seen much of in the Ultrabook category. 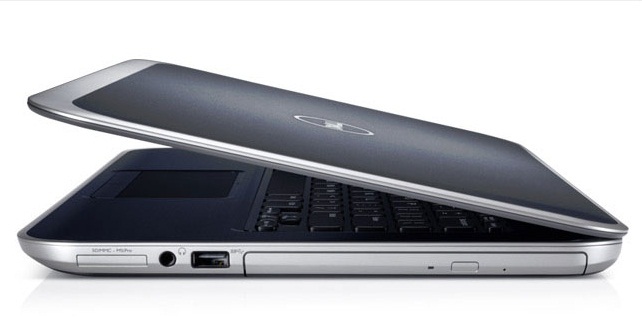 Though the Dell Inspiron 14z-5423 has a larger screen than our current EC, the HP Folio 13-1020us (which has a 13.3-inch screen) and somewhat better performance on the multimedia and 3D tests, the fact that the HP 13-1020us is lighter, cheaper, and has almost three hours better battery life lets the latter hold on to its title. Both systems have 1,366 by 768 resolution screens, so all you get is slightly larger letters and images. 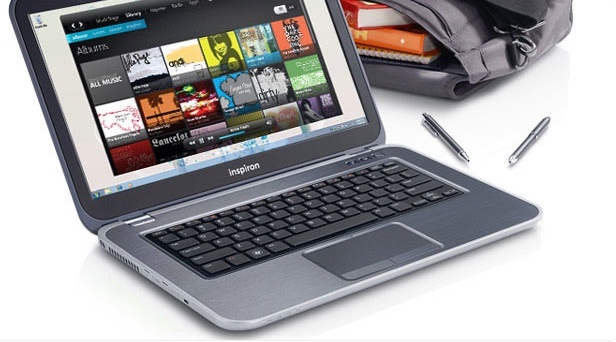 The recently updated Dell Inspiron 14z is an ultrabook laptop that is conservatively priced yet includes a 3rd-gen Intel Ivy Bridge CPU, discrete graphics and impressive performance. It does lack in terms of battery life and has some design flaws, but other than that, it's a new contender to the market that's well worth a look. The Dell Inspiron 14z is one of the best looking Ultrabooks we've seen and, with its discrete graphics and 3rd Generation Core i5 CPU, one of the better performers for its relatively low $899 price. Users who want more battery life or a better screen should consider other 13 and 14-inch Ultrabooks such as the HP Envy 14 Spectre(though it costs a steeper $1,179). When it comes to laptop design, you generally get what you pay for. There are, however, rare exceptions when more expensive laptops feel like budget models, and low-cost systems look like they should cost more. Dell has managed to give a very upscale feel to its mainstream Inspiron 14z, a 14-inch ultrabook that comfortably juggles price, design, and performance. 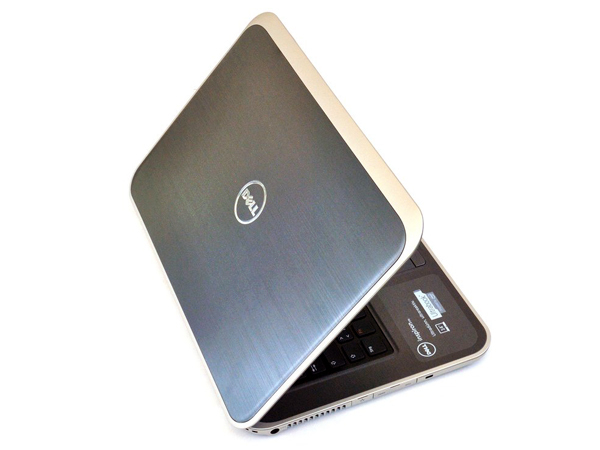 First, our soapbox session: This is the part of the review where we have to quibble, not with Dell, but with Intel for letting laptop makers apply its ultrabook label to chunkier thin-and-light laptops, as well as under-3.5-pound "real" ultrabooks. In a sense, it dilutes the ultrabook as a premium label, as well as the expectations around a laptop coined as one. Hands-on: Based on our first impressions, the Dell Inspiron 14z could make for a decent ‘budget’ laptop. There’s not exactly much choice in affordable Ultrabooks that are also customisable at the moment, but we’ll have to wait and see if this is enough to get the latest Inspiron ultraportable past its flaws. AMD Radeon HD 7570M: El mismo chip de la Radeon HD 6630M, pero con interfaz de memoria de apenas 64 bits y apenas 5 SIMDs (=400 Shader) activados. Versiones con frecuencias diferentes con memoria DDR3 o GDDR5. Algunos juegos actuales no fastidiosos pueden ser jugados fluidamente con pequeños detalles. 3317U: CPU ULV basado en Ivy-Bridge en el segundo trimestre de 2012. Ofrece una frecuencia de 1,7 - 2,6 GHz y un GPU HD 4000 (350 - 1050 MHz). El TDP es de 17 W.
71.24%: Esta evaluación es mala. La mayoría de las portátiles son mejor evaluadas. Esta no es una recomendación para compra.